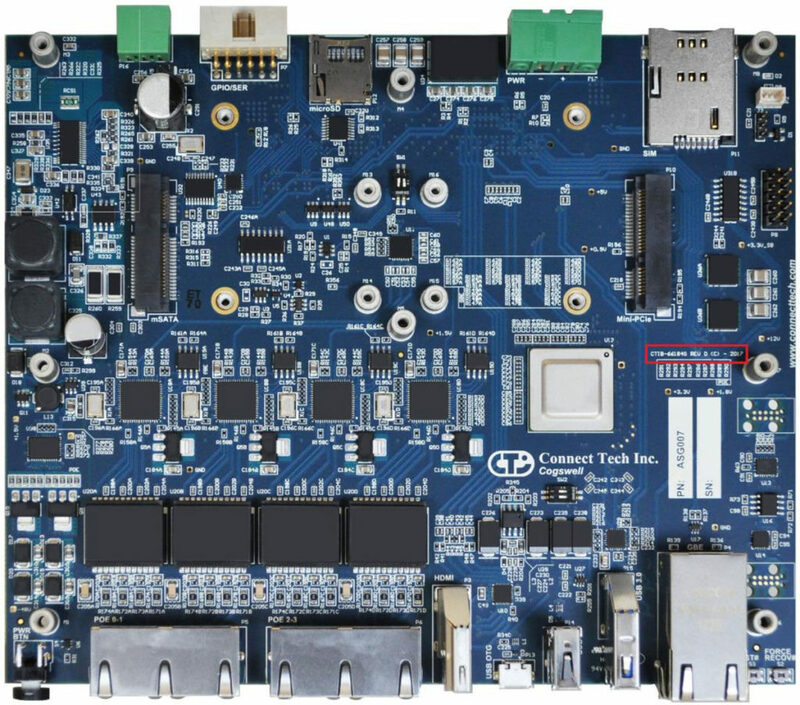 Product Change Notification - PCN #: CTIU-00010 - Connect Tech Inc.
CTI has found pipelined bandwidth limitations and inefficiencies with the ARM Linux4Tegra ethernet drivers associated with the Intel 82574 ethernet chipsets present on Cogswell hardware revisions A through D. These driver bandwidth limitations will affect the maximum achievable FPS (frames per second) that users will be able to capture when utilizing 4 concurrent high-resolution GbE (GigE Vision) camera streams. See the figures below for data on the Maximum Achievable FPS for each configuration. These numbers are only limited from either the physical Gigabit Ethernet port bandwidth, or camera sensor output Note: Achievable FPS may vary depending on cameras, setting and system CPU utilization. As shown above, the Cogswell hardware Revision E and onward will have increased bandwidth for multiple camera streams. This is due to CTI moving to an alternate Ethernet Chipset (Intel I210 series) which utilizes an alternate driver for ARM Linux4Tegra that does not exhibit these pipelined bandwidth limitations. The changes listed in Section 2 will improve the features of the product allowing 4x concurrent GbE cameras streams at high resolutions. Customers using the Cogswell revision D or older will have no issues moving to the newer revision. The bandwidth limitations associated with the driver will be ratified in Cogswell Revision E. Please contact sales@connecttech.com for availability.